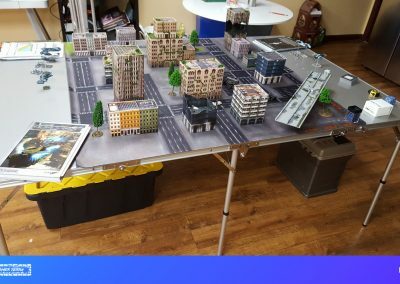 We created the ALPHA Game Table to be a sturdy, lightweight, 6x4 gaming table for board games, miniwargaming, and miniatures hobby. 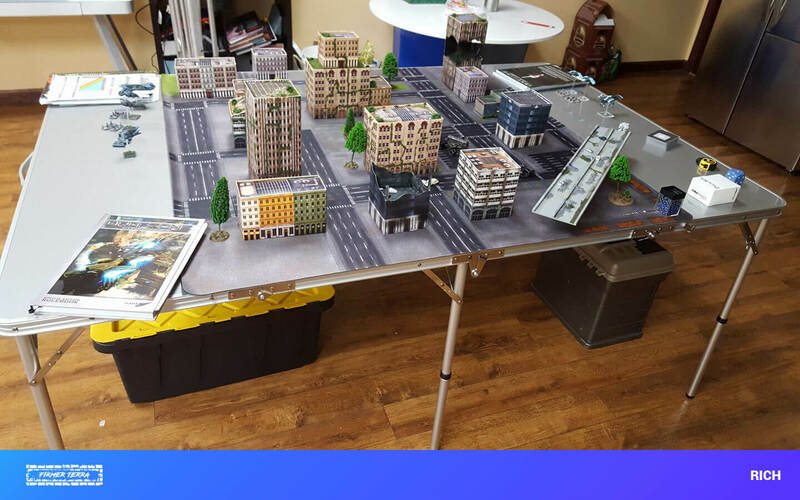 The table folds up into a carry unit 48 inches by 18 inches by 6 inches in size, because we wanted a play area that is out of sight when it’s not in use. It can easily slip under a bed, in a car trunk, or out of sight. Set up time for the table is less than 2 minutes. The ALPHA is 4 feet by 6.11 feet in length. We made it a couple of inches longer because the table corners had to be rounded. That way if you’re playing on a true 6x4 map you have no flop over. 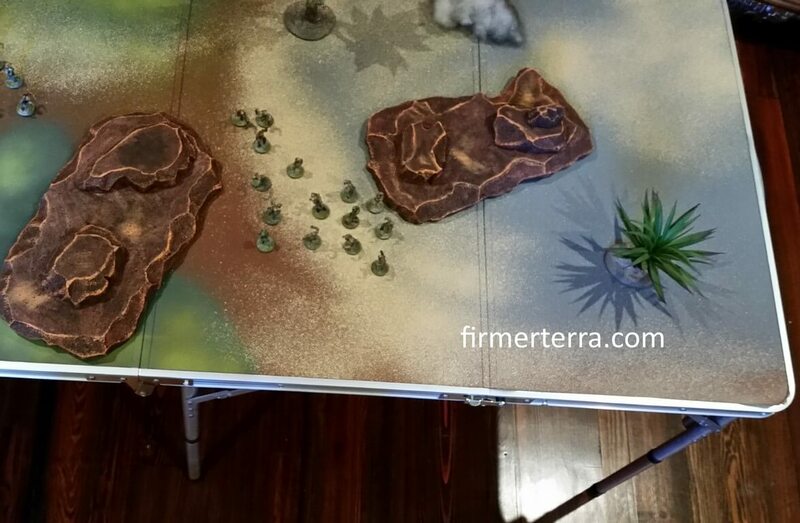 Don’t let 30 pounds fool you into thinking this is a weak battle surface. Tested to 100 lbs. dispersed (in its original configuration) the Alpha will stand up to pressure, during a game, better than most players. It’s also weather resistant. In 90 seconds your Alpha is transformed from a carry case into your battle surface (just have a friend help you flip the Alpha over once you finish assembly). 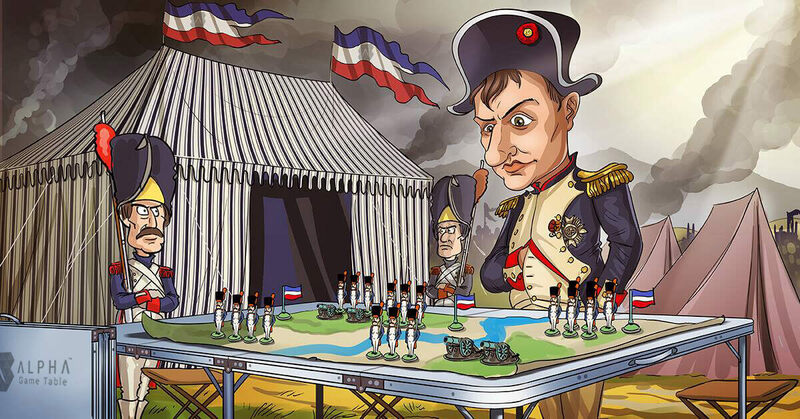 One of our original principals is that your table shouldn’t take more time to set up than your army. In its’ “carry mode” it takes up a footprint of 48” x 6” x 18”. Even comes with its’ own carry handles. “Yeah it’s a table.” we know, but that doesn’t mean we stopped making it better. 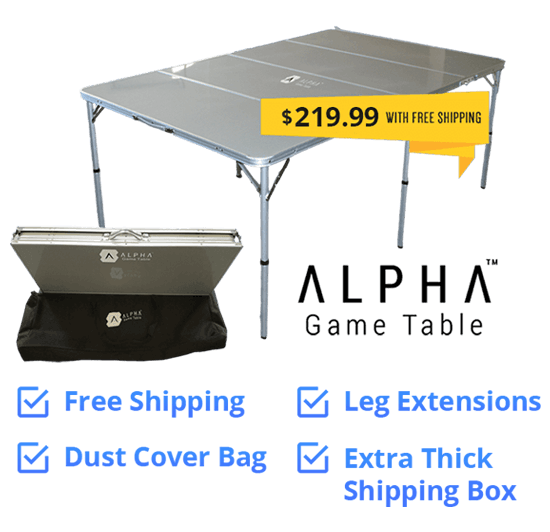 The Alpha has some optional goodies like a long-term dust cover carryall bag, and our leg extenders to raise your playing field. 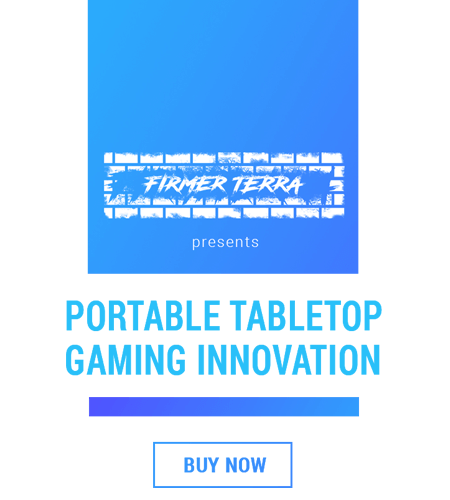 Firmer Terra LLC was created in 2016 in order to accommodate a line of tabletop gaming solutions. At heart we are gamers. 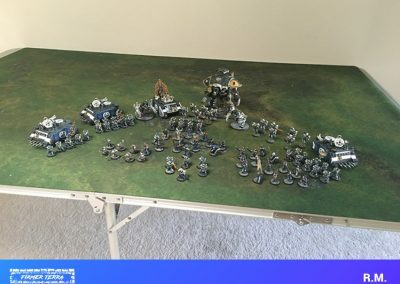 We enjoy the hobby. We wanted to create products not only to add to a line of gamer solutions but to also make for a better play experience. 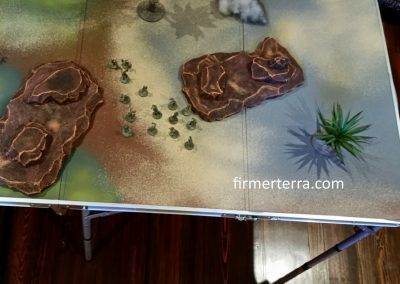 Firmer Terra LLC was present at Nova Open and Adepticon where we showed our ALPHA Game Table to the tabletop gaming community.  We have been also featured on Life After the Cover Save Podcast, The Renegade Open, PeteHappens.com and others. 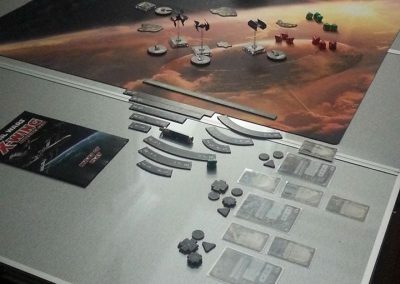 Want to know how the tabletop gaming community rated our gaming table? First and foremost we are gamers. 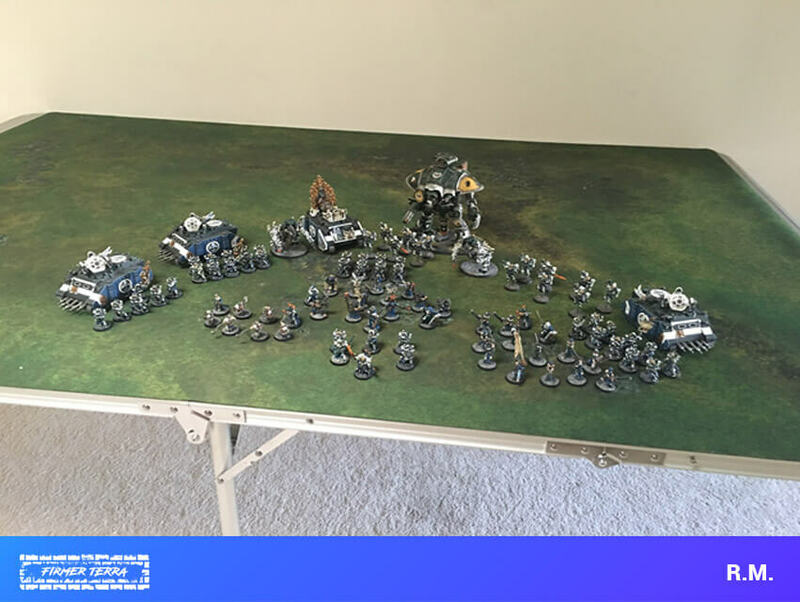 Whether the game is Bolt Action, Konflikt 47, Warhammer, or D&D we play and collect it all. One of our chief obstacles was finding a large enough surface to play at home. Most tables were long enough but not wide enough for our maps and group. 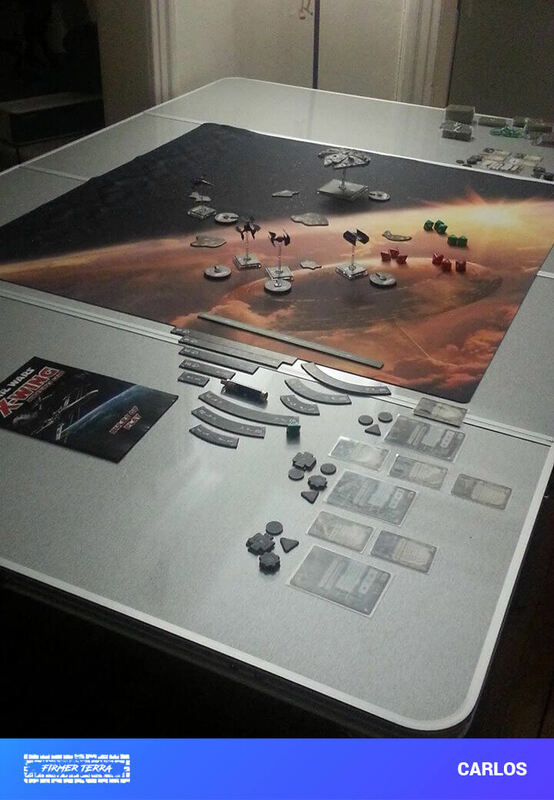 We created the ALPHA Game Table as an easy and inexpensive gaming surface solution. We wanted a play area that would not take up permanent space when not in use. It’s lightweight and easily transported in a car trunk. The surface is also weather resistant so you can enjoy a game outside. Click further to find out more or email us your questions. Firmer Terra, LLC, its products, and employees are not associated with any of the brand products, other than those of Firmer Terra, LLC, included in pictures and text on this site. All copyright, patents, and trademarks are respected. No assumption should be made of a relationship between Terra Firma, LLC, and any other products depicted here. We respect each company’s right to privacy, and creativity. If you would like your brand removed please contact us. We enjoy most of these products but we respect each business. Created by PPC America Inc.